The standard service is not suitable if you are travelling in the next 6 weeks. If you have held a British passport in the past we can secure you a Fast Track 7 day or Premium Service 1 day appointment through one of our packages or you can avoid our charges and services and just pay the passport fee by going through the Gov.uk service or Post Office directly. 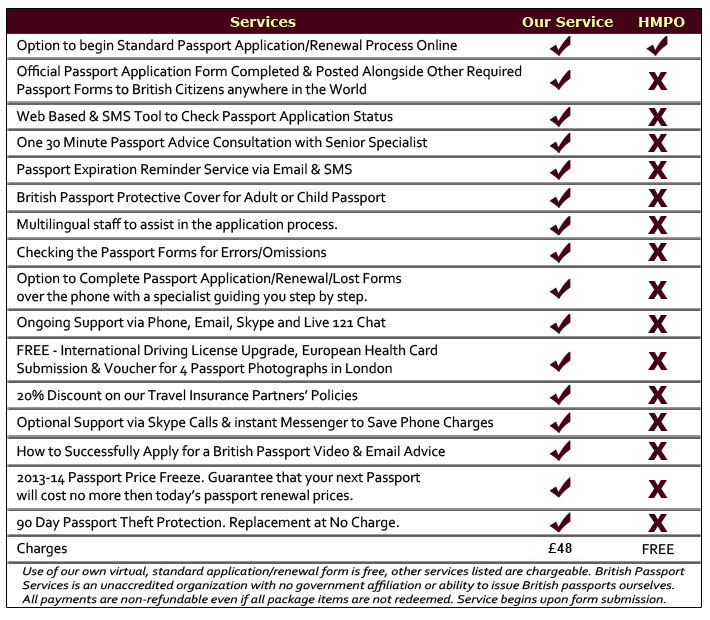 With both the Premium & Fast Track Service you will either need to travel to one of 7 Passport Offices in the UK or use our independent Passport Office Appointment Exemption Service.